Are you interested in starting a beauty and lifestyle blog in the Philippines? Do you have a passion about makeup, skincare and sharing your life and interests with a blog? Have you ever wondered how to make money with a blog this 2017? A Beauty and Lifestyle blog is one of the most popular type of blog you can start in the Philippines. Starting a beauty and lifestyle blog is very easy and inexpensive. I created my first blog in 2013 without any prior knowledge or experience. I simply blog as a hobby, something I can do on my spare time. It took me three long years to realize that a blog is more than just a hobby. It can change your life for the better. It is a powerful portal that can make you meet a lot of people, be invited in events, get free gifts from brands and most of all earn passive income. 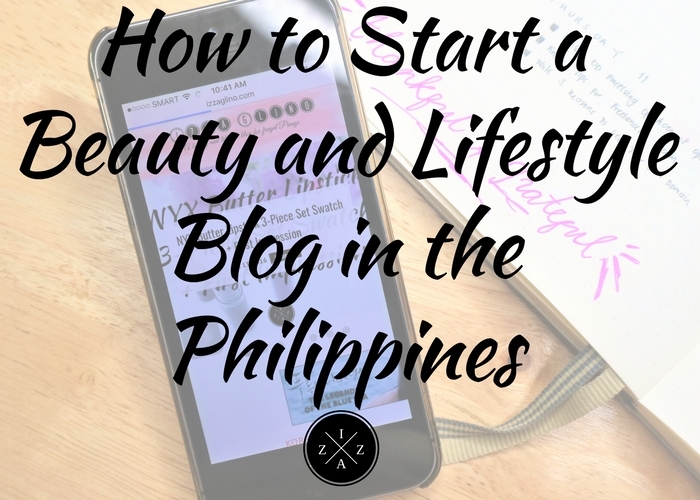 This post is dedicated to everyone who have considered doing a beauty a lifestyle blog in the Philippines but have zero to no idea how to start. Hope you like this post and share any valuable lessons to others as well. A BLOG is an online-based journal. It is designed to be a log of thoughts, ideas, pictures or notes published for the web. Thus, your content will be seen and read by the public. Imagine it as getting your own space on the internet world. A person who blogs is then referred to as a BLOGGER while the act of doing a a blog is called BLOGGING. A blog comes in different format. There's a regular blog like what I'll be talking to you about. There's also a video blog like My YouTube Channel and an audio blog like a podcast. Beauty and Lifestyle is such a saturated niche nowadays. There are about 300++ blogs under this category on topblogs.com.ph and each one is amazing in its own right. To succeed in this niche you need to be sincerely passionate. You can never achieve your own blogging voice if you are only doing it for the fame, the freebies, the free invites and on. It should come from the heart. This step is pretty much the technical side of starting a beauty and lifestyle blog. If you really have zero knowledge on how to set up a blog you can ask an expert to do it for you. 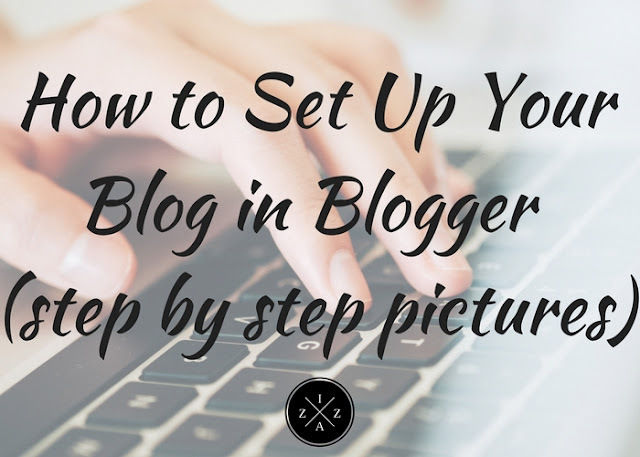 The first step in setting up your blog is choosing your platform. There are two popular platforms (as we call it) in blogging namely Blogger and Wordpress. Blogger is a product of Google and a very simple, easy to use option while WordPress may seem complex and offers variety of personalization. I actually use both so this blog is on Blogger and my other blog, SavingsPinay is on WordPress. Once you selected your Blogging Platform you need to create an account. You sign-in with your username and password and will be redirected to the platform where you can start your very first post. I also highly recommend that you can get your own domain and hosting! I skipped this important step in the first three years that I’ve been blogging and I know I missed a ton of opportunities because of it. Having your own domain name and hosting is a must if you are taking your blog seriously. Instead of www.yourblog.blogspot.com, you can easily be known as www.yourblog.com! A shorter, better and easier name to remember! Go to Pangalan and secure your own domain name for less than Php 400 today. I assure you it is the best decision you’ll ever do! The moment I became www.izzaglino.com I jumped from #290 to #23 in Topblogs.com.ph ranking! It’s awesome. The heart and soul of your blog is your contents. Without any articles to publish your blog is useless. So how do you brainstorm for your blog topics? Once you have your main blogging topic ideas you need to include sub-topics under each category. Beauty can be narrowed down to Makeup and Skincare. 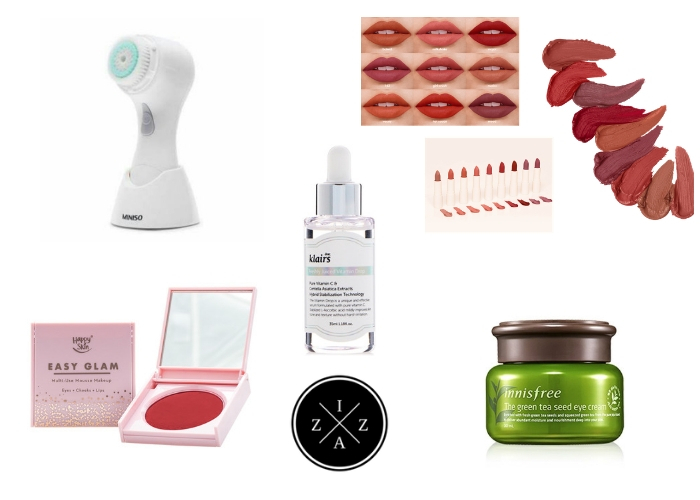 This way you can blog about makeups and also skincare items. Supporting topics under Makeup and Skincare will be product review, haul, empties, best of the best and/or tutorial. Now you have posts like a Makeup/Skincare Item Product Review, a Makeup/Skincare Haul, a Makeup/Skincare Empties, a List of Your Favorite Makeup/Skincare and/or a Makeup Tutorial or Updated Skincare Routine. The thing is it gets easier once you have selected your main topics. Also there are a lot of blog posts about blog topic ideas in every niche you can search about. Photos are important in a Beauty and Lifestyle Blog. Yes, content is king but without an image to show, your blog post will be boring. I had a hard time creating quality photos for my beauty and lifestyle blog before and it took me four years to really try to get serious in my blog photography. If you are serious blogging you can buy quality camera (Canon EOS M3) but if you are going frugal a smart phone will do the trick as long as you have natural lighting and good editing skills. Blogging, in general is more than just ordinary hobby. I know bloggers who turned their site into an income generating machine. They gained popularity, get privileges to try out products and services for free and make money out of their blog. But success in blogging is a combination of hard work and patience. It doesn’t work overnight. I personally devote 1-2 hours a day on weekdays for my writing and doing admin tasks for my blogs. My weekends are also meant for taking photos, editing, commenting on other blogs and others. 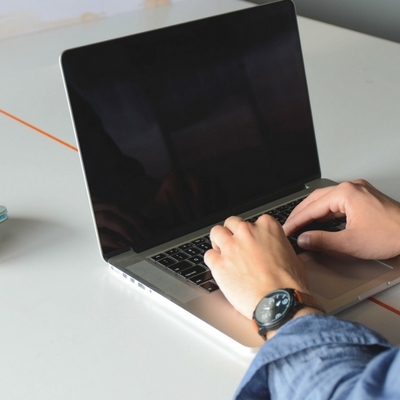 Writing your first post shouldn’t be a daunting task. You can either introduce yourself to your readers or create a simple post about what your skincare routine. Keep your content valuable to the public so you can gain readership fast. Once your blog starts growing in posts you can start interlinking related posts to gain more traffic. THIS LINK was my first post here in IzzaGlino. Establishing your social media presence is also important as beauty and lifestyle blogger. The easiest way to gather an audience is through Facebook and Instagram. All you have to do is post a photo and a link to your blog. It will be very helpful if you engage to people more and ask them what content they want to see in your blog. Your first readers will as always be the people close to you so spread the love and let them know you more through your posts. Like IzzaGlinoFull Facebook Pageor Follow Me on Instagram. Now I want to end this post by words of encouragement on why your should blog. Blogging changed my life completely and gave me so much lessons and I can't contain my happiness that I found out about this hobby four years ago. You'll Learn A Lot. And by a lot I mean A LOT. Through blogging I learned to use different tools that I incorporate in my daily life. I will never discover the beauty of a bullet journal to increase my productivity. I will never learn to set my timer if I want to get things done. I will never learn how each makeup items are used. I continuously seek for new things to learn and new part of myself/ my life to improve because as a blogger, I continually research. With my blogs, I was able to attend events and meet other bloggers and personalities. Over the years I was fortunate to attend various meet ups and product launch that led me to network with amazing people. Though I haven't really earned that much in Blogging I had some sponsorship opportunities before and it does add funds in my Paypal account. Even if it's just $100/year or as much as $100/month that's still money you earn just because your blogging. You'll Have Your Own Voice. A blog can set you apart to others. It could be your identity. You can reach a lot of people because of your blog and inspire them and help them learn things. For me that's one of the reason why I got addicted in blogging. Since I was born with "words of affirmation" as my language of love, I get kilig whenever I receive compliments and appreciation on my posts. For me blogging is like having your own channel, your own territory and having your own voice. Just be yourself. You are the only person who can define how your blog will be. Let your personality shine in every post you do. A simple clean template is all that matters. I had complex web template before that filled with ads and honestly they don't look pretty. I try to make SavingsPinay and IzzaGlino look as simple as possible. Create Templates for Your Posts. If you have recurring posts such as Product Reviews and Hauls you can create a template so it will be easier. 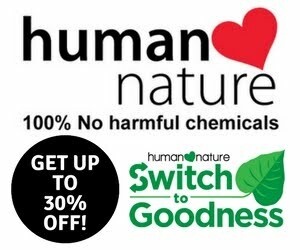 As you notice all my product reviews follow the same format that's why it is easy for me to share my thoughts on any item. Be consistent in your posting. It doesn't matter whether you blog daily or once a week as long as you stay consistent in it. Write down your ideas. Keep a little notebook to jot down posts ideas or tasks to do. This is the first step to an organized blogging journey. You will less get stressed if you follow a good organizational skills into everything. Blogging is a very addicting hobby. It is fun and exciting. It gives a new purpose to live as a matter of fact. My post How Blogging Changed My Life Completely will give you a glimpse on the difference a blog can bring into your life. If your interest goes along makeup, skincare, fashion, travel and life in general why not start a beauty and lifestyle blog, right? Are you a blogger too? If you own a beauty and lifestyle blog feel free to use the comment section and leave a link to your site. I'd love to get to know more people from the blog community. I've always wanted to start blogging but never had the idea how. Thank you for this!